Few months ago, google launched a chatting app by name Google Allo. 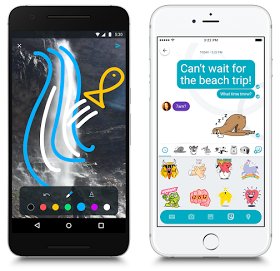 The Google Allo messenger is completely referred to as a direct competitor and alternative to Facebook Messenger & WhatsApp chat app. Google developed this app in such a way that anyone using it can be able to search things with it as one normally do online. Also, all that feacbook and whatsapp does, this Google allo does it too. And this is where Google developers are beating Facebook and whatsapp hands down, due to the fact that they lack search feature. It was as if it ended there, Google still unveil another app for video calling that offers video calling features even one with 2g network can make call with this app. This amazing app is called Duo. Now, the both apps Duo and Allo was developed to require phone number when registering for the account just exactly like whatsapp. It is unlike other Google services that requires gmail account to login or have access to the services. Having seen what Google Allo and Duo app is all about above, now the version 2.0 for that of Allo chatting app is now made available for all using Android device. It came with a lotbif features like direct replies, split-screen multitasking support, direct sharing and lots more. The update made on this Allo app now brings up a splash screen once you start the application, and now it supports sharing things directly from your phone share menu to any of your contact you frequently chat with (without first needing to select the app). In addition, Allo is now developed to support the split-screen multitasking mode which was initially released on Android 7.0 Nougat devices. However, you can as well, directly reply to any of your active chats in notification bar, and activate a Monochrome theme right from Allo App Settings. In Allo app, when you long-press the Allo icon in Android Nougat devices, app shortcuts pop out. In this OS, there is also GIFs inside the keyboard. Inserting these feature in Allo is now a go. 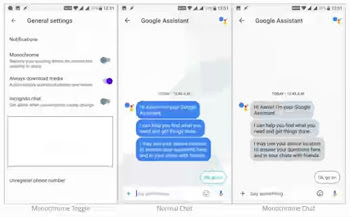 Finally, If you are chatting with any Google Assistant through the Allo App, you will get a voice recognition. √ Download The Latest Free Whatsapp Video Call App And Video Chat Your Friends Now. √ PayPal Now Available For Receiving And Sending Payment via Facebook Messenger [Check How]. ✔ For those using Android device, Download Allo Messenger Apk Android App by Clicking Here. ✔ For those using iPhone and iPad Download Allo Messenger For iOS Devices Here.